CHICAGO, IL –(ENEWSPF)–March 13, 2017 —The federal district court ruled Friday that prisoners had alleged sufficient facts to prove that the extreme isolation prisoners are subjected to in solitary confinement violates the prohibition against “cruel and unusual punishment” of the Eighth Amendment to the United States Constitution. The court also ruled that the conditions in these units, as described by prisoners, were so bad that prisoners could not be transferred to solitary confinement without a hearing, and that Illinois violated prisoners’ constitutional right to due process by holding what the prisoners described as “sham” hearings. The six prisoners who brought the case seek to have it certified as a class action on behalf of all prisoners facing extreme isolation in Illinois. While the court did not yet rule on class certification, it did state that the six prisoners allegations regarding the conditions of extreme isolation at Stateville, Menard, Pontiac, and Lawrence prisons were so similar that all of their claims were properly brought in the same case. Alan Mills, Executive Director of the Uptown People’s Law Center, who represents the prisoners in this lawsuit, stated: “Solitary confinement is torture. Being isolated for days, months, and sometimes years, from meaningful social contact deprives people of one of life’s basic necessities: social interactions. This sort of isolation causes permanent damage to people’s mental health—damage which continues long after a person is released from solitary, and even after they are released from prison. We look forward to the day when Illinois stops torturing people in its prisons.” This case is part of a growing national trend in which courts are expressing increased skepticism about the long-term use of solitary confinement. Just last week, Justice Breyer filed a dissent in a statement in a death penalty case, describing in great detail the harm done by depriving people of meaningful social contact. In Ruiz v. Texas, 16-7792, Justice Breyer noted that as long ago as 1890, the Supreme Court recognized that there were: “‘serious objections’ to extended solitary confinement. The Court pointed to studies showing that ‘[a] considerable number of the prisoners fell, after even a short confinement, into a semi-fatuous condition, from which it was next to impossible to arouse them, and others became violently insane; others still, committed suicide; while those who stood the ordeal better were not generally reformed, and in most cases did not recover sufficient mental activity to be of any subsequent service to the community. It became evident that some changes must be made in the system,’ as ‘its main feature of solitary confinement was found to be too severe.’” Additionally, on March 9th, in the Illinois legislature, the Isolated Confinement Restriction Act, which would drastically reduce the use of solitary confinement in Illinois, was passed out of the Restorative Justice Committee and will be voted on by the House. The case is Davis, et al v. Baldwin, pending in the United States District Court for the Southern District of Illinois. 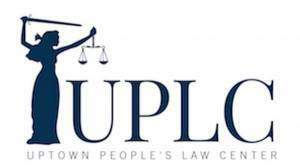 The plaintiffs are represented by the Uptown People’s Law Center and by a team of pro bono lawyers, led by partner Kimball Anderson, from law firm Winston and Strawn. Winston & Strawn LLP is an international law firm with 18 offices located throughout North America, Asia, and Europe.